CQ2 has launched an exciting new digital destination guide app for Land’s End the world famous tourist attraction. 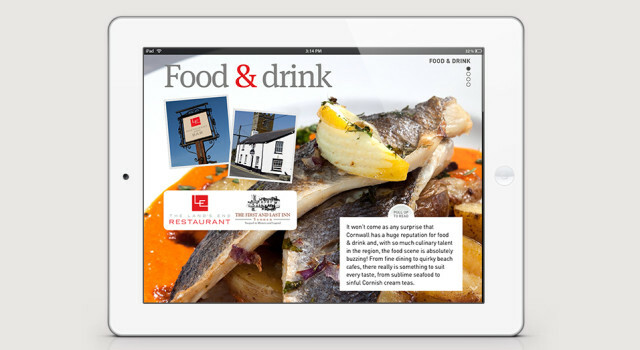 The app, available to download for free from iTunes was created using Adobe Digital Publishing Suite. Historical evidence suggests that human beings have been travelling to the westernmost point of Cornwall for over 8,000 years but never before has a visitor’s journey been aided by a Land’s End mobile application. 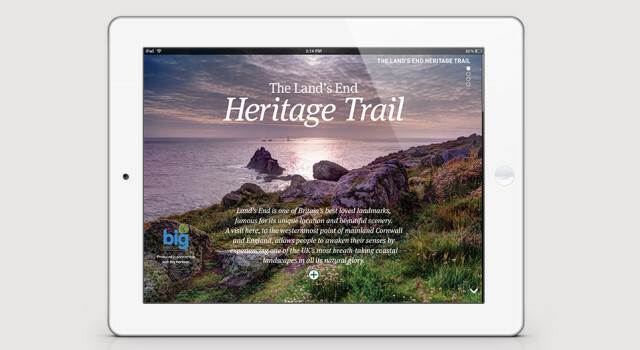 The Land’s End ‘digital destination guide’ is an all-encompassing free iPad app that connects with younger, digitally savvy audiences as well as new customers by enabling them to enjoy this attraction digitally, on their iPad. 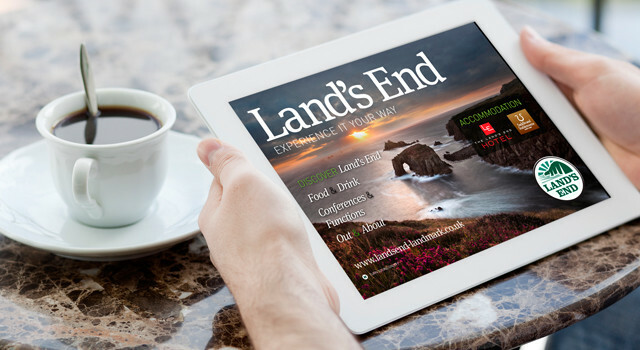 Featuring details of what to do, where to go and general information about Land’s End, the Land’s End Hotel, the Saddle and Stablerooms and the First and Last Inn, the Land’s End app is a colourful, comprehensive and essential guide for visitors and locals. The new app includes information about the Land’s End Heritage Trail, attractions in West Cornwall, sample menus from the Land’s End Restaurant, the smuggling heritage of the First and Last Inn, travel information for the Saddle and Stablerooms and much, much more. ‘We’re delighted to launch the new app and we’re very pleased and proud to be able to offer our visitors a comprehensive guide to Land’s End which is easily accessible in your pocket or at your fingertips. 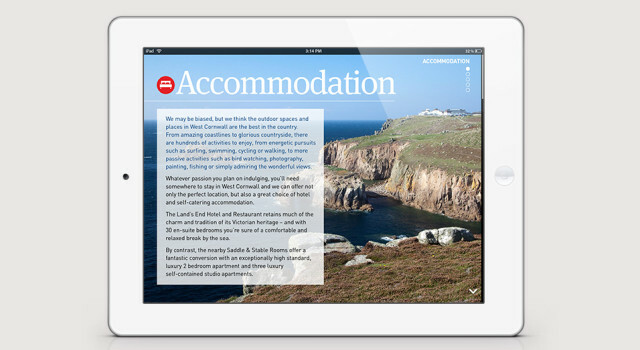 The new app is now live, so search and download the Land’s End ‘digital destination guide’ on the app store on an iPad. 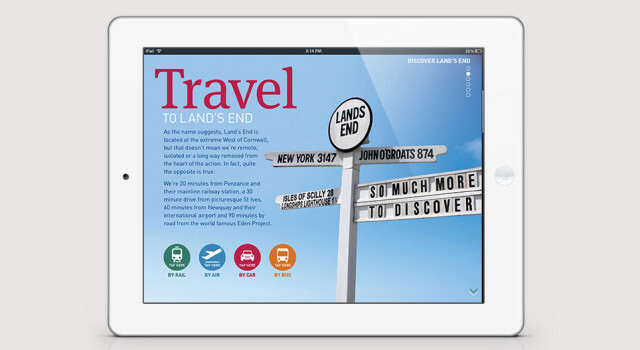 CQ2 worked closely with Land’s End to create the layout, design and interactivity in the iPad app. The digital destination guide took six to eight weeks to produce, from planning to publication and many elements used for Land’s End printed literature were reused for digital publishing with Digital Publishing Suite, helping to streamline costs and increase digital ROI.